My Domestic Monastery: 7 Quick Takes - Children's Rosary Book is Almost Here!!! 7 Quick Takes - Children's Rosary Book is Almost Here!!! A long, long time ago, I mentioned releasing a children's sequel to the Rosary book. Now, months later...I'm finally ready to tell you about it!! If you recognize the illustrator's name and are beyond excited...you should be! She's otherwise known as the artist behind Audrey Eclectic, and her art is stunning! I can't wait until you see the illustrations she made for this book!!! The book release date is October 7 - the Feast of Our Lady of the Rosary. To celebrate the release, there will be giveaways all over the blogosphere...so stay tuned for more details! 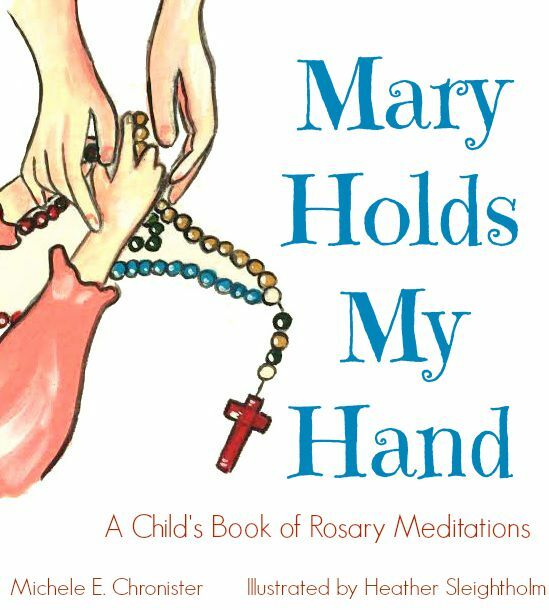 The rosary meditations in this book are written in non-rhyming verse. What that means is that it is beautiful to read aloud, and solid theologically! My four year old was the test subject. She love, love, LOVED the illustrations, and she was able to follow along with the meditations. Pre-order is coming soon! Check back for more details. I'm so, so excited to share this project with you! Oh what a pretty cover! I hope this does really well, Michele!